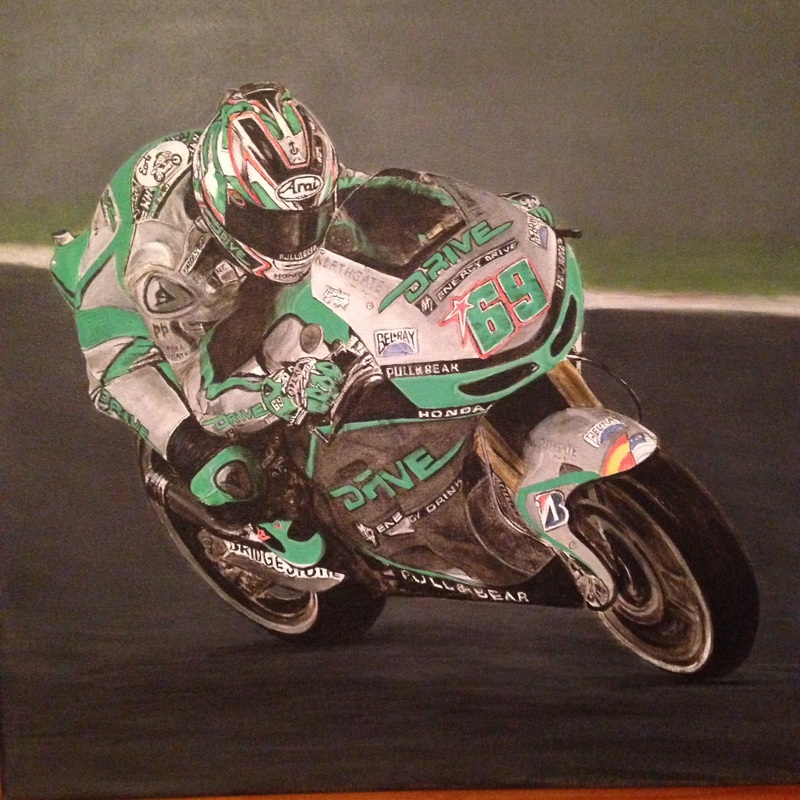 Here it is all finished – Nicky Hayden at Losail, Qatar this year’s night race on Drive M7 Aspar Team’s Honda. 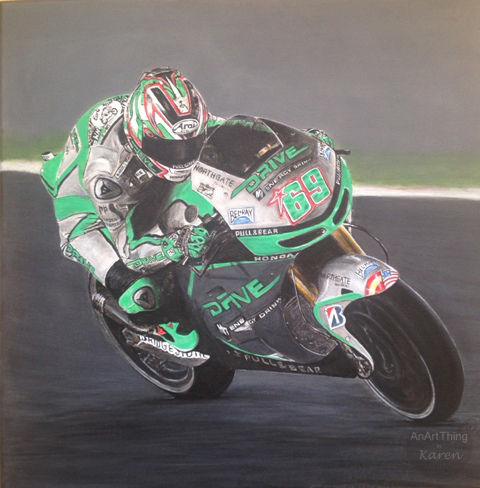 A very big thank you to Aspar Team for the use of the original photograph. Still a lot of tidying up and putting in more shadows, but it’s getting there! 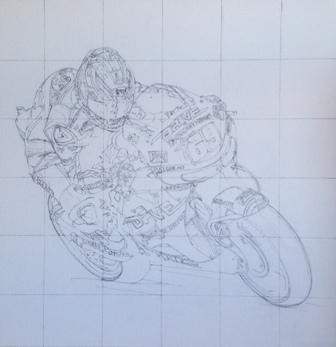 With all the background/track almost finished, I am now concentrating on all the details of the bike and rider … it’s starting to come together well! 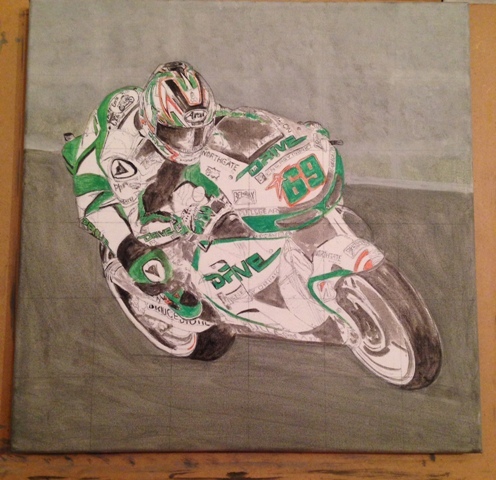 Last night’s progress – It looks so much better already, now that some colour is on canvas! Finally all drawn out, it’s not shown very clear here, but you get the idea! It’s drawn on canvas 40cm x 40cm and I will be using Winsor & Newton Galeria acrylics. 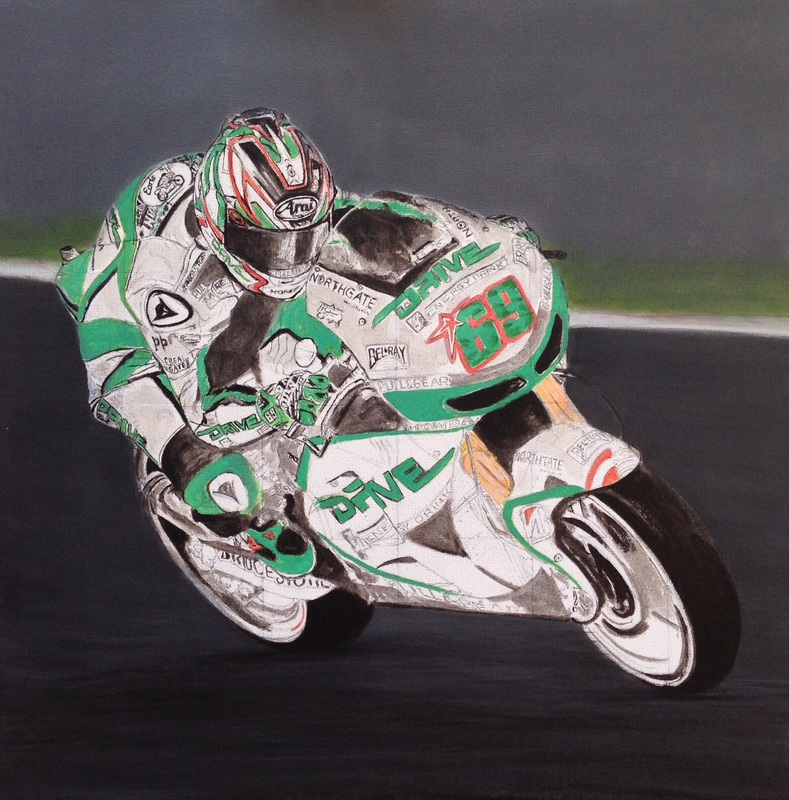 The next stage is to get the background colour right before moving onto the rider and bike. Hopefully the updates will be more frequent now the complicated drawing bit has been finished! !